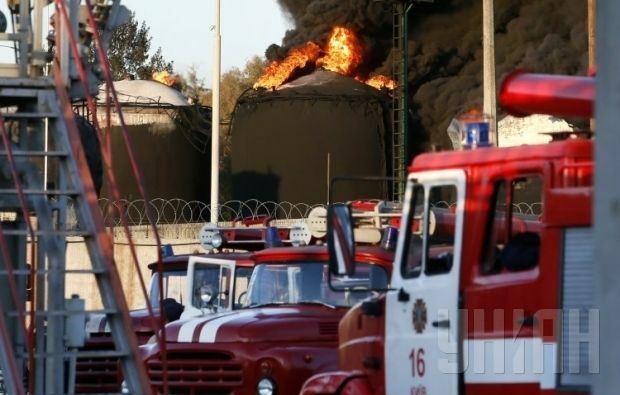 BRSM-Nafta company has offered a reward of UAH 1 million for information about who might have started a fire at its oil depot in the Vasylkiv district of Kyiv region, while saying that the incident should be classed as an act of terrorism. The company intends to attract international experts to assess the causes of the fire. At this, according to the director of the strategic marketing department of BRSM-Nafta network, Alexander Melnychuk. "Our company announces a reward for information about the attack on the Vasylkiv oil depot ... We have to appeal to international experts [to carry out an investigation]," Melnychuk said at a press conference on Friday. He noted that the incident at the oil depot was preceded by seven terrorist threats at a gas stations and other facilities of the company, during which explosive devices were found. At the same time the company representative said that the Ukrainian law enforcement bodies did not carry out a proper investigation into previous threats of terrorist attacks, so the company would have to appeal to international experts for help.